A contemporary display case that has a broad appeal comes in curved corners and a full refrigeration option, with low and medium temperatures. 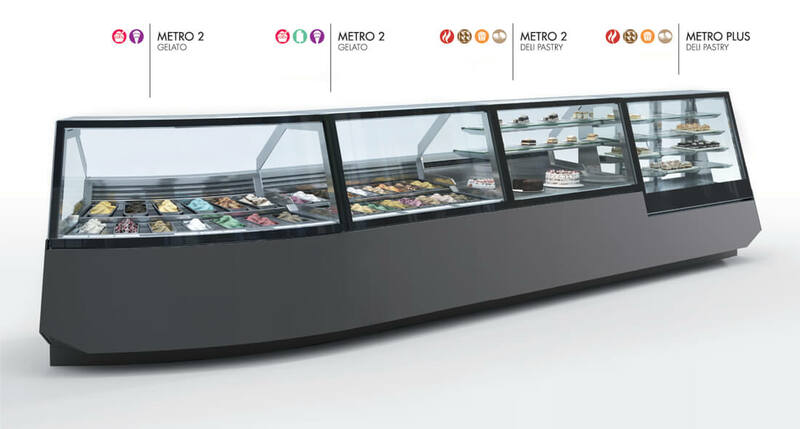 This showcase is available in Pastry, Deli and Gelato Ice Cream both in linear and curved configurations. Top Glass is lift up hydraulic on all models and heated to prevent fogging or sweating. The front lower portion is a back painted tempered glass that can be removed and replaced with any fascia /décor to fit any ambience. LED lighting is standard.